Apple has released a patch today for a flaw disclosed on 28 November in the most recent version of its MacOS, High Sierra. The flaw allowed administrative access to attackers without requiring a password. Please install the patch ASAP by opening the App Store app on your Mac, clicking Updates in the App Store toolbar, and then using the Update buttons to download and install any updates listed. Questions? Please contact your system support organization (for example, the ITS Service Desk). Quick Infosec Tip: Keeping your system up to date with patches is one of the most important actions you can take to stay safe online. 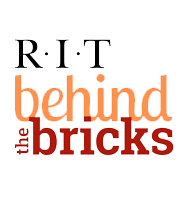 Reminder: The RIT Information Security Policies and Standards are designed to help keep RIT and the RIT community safe from cybersecurity threats.